We understand your business needs, and work as part of your team and an extension of your office. Our digital voice transcription solutions save you time and money on administrative costs. We treat your work in strict confidence. We made a conscious decision from the outset to engage our typists to work within our office. This creates continuity, greater quality control, continued learning among ourselves through the sharing of knowledge, flexibility, consistency, good communication, protection of intellectual property, confidentiality, and production flow. Our team members all sign confidentiality agreements. We provide flexible, consistent, and cost-effective service to clients in New Zealand, the UK, and worldwide. You can select one of our typing specialists to carry out your work. 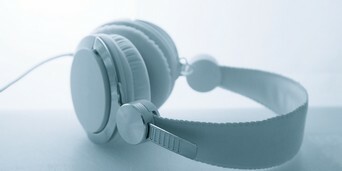 We provide the option of digital voice transcription in either English or French. We follow your formats, templates and styles or help enhance document formats as required. We employ trained touch typists capable of 70-100 words per minute, who understand good grammar. We utilise sophisticated software for the management of workflow and recording of time. Julie is the founder of Streamline Dictation Services. She has an enormous amount of legal experience (35-plus years), having worked in secretarial, office management and legal executive roles. From successful careers in both New Zealand and London, Julie understands the demands of business, bringing drive, motivation and enthusiasm to all her projects. With a solutions-based approach, Julie is a natural problem solver. “Do you find your workflow or productivity being hampered by a lack of time available for servicing clients? If so, I know how you feel. I was there 15 to 20 years ago, working in the legal profession, heading up an administration support team. I observed the lawyers never had enough hours in their day to do what needed to be done – always feeling swamped by their workload; leading to increased hours and at times, stress. 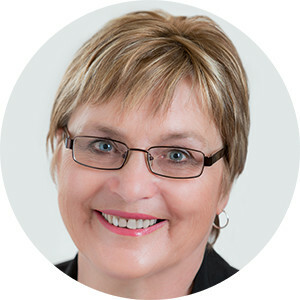 Vickie brings with her a broad range of experience from IT, building industries and valuation. She has been on the team for many years and is a whiz at typing, grammar and loves learning about new words. One of the things Vickie enjoys most about the role is the variation of work and the challenge of producing the best result for the client. Becky is our legal expert who provides consistent and fabulous quality work for clients. She has two children and assists her partner in his business. Angela’s background is in the printing business. She is driven to deliver a high-quality service for our clients. Angela enjoys the variety of work, and has a particular interest in medical transcription and a passion for learning new words. In her spare time she relaxes by riding horses and reading. Katrina is an all-round team player, with a broad range of secretarial expertise to draw on. She loves the variety of her role at Streamline with a current focus on medical typing. In her spare time, you will find her either out on the golf course, spending time with her family, watching one of her kids playing sport. or singing in the worship band at Kapiti Impact Church. Melissa’s skills lie in medical transcription where she enjoys the challenge of the medical industry. Melissa also brings with her a background in IT and extensive experience working in legal firms. In her spare time, she is a busy mum to three children and is also a childbirth educator.